I can see your tooth in this picture! Haha! So that's the little horror poking out and giving you so much trouble! What a lovely smile you have Alice. We haven't seen it for a while because you were just teething non stop. 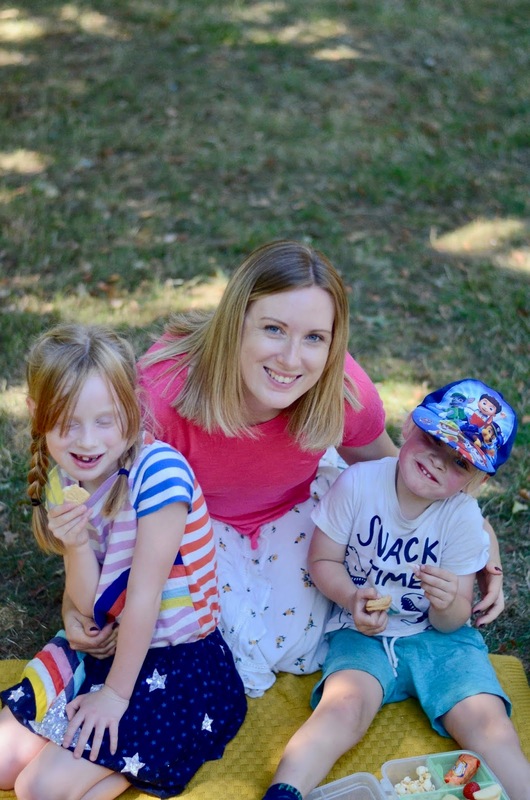 Motherhood is full of ups and downs and this last week has been a massive up! You have just been smiling and laughing non stop, eating all your yummy food up, drinking milk, sleeping all night. You're just a happy little baby! You are going up on all 4's now and rocking back and forth! And you can even go up on your toes and hands. You just can't seem to move forwards yet. However, this does not seem to stop you from moving all around the room, grabbing all the things you shouldn't be grabbing and getting stuck under the sofa! I am at the stage where I am having to do a quick sweep of the room to check nothing dangerous is around. That sounds like am obvious thing to do, but I really haven't had to worry about it up till now because you haven't been moving about! I am trying to move you onto lumpy food and you are having none of it! Haha! You just spit it all back out and shake your head. I don't blame you to be honest. Chewing it hard work! But we do need to work on it missy, because you are coming up to 7 months and you need to start using that little toothy of yours. Maybe I need to try some finger foods first because you love stuffing everything into your mouth! That might encourage you to try new things. I don't know, these babies and their stubbornness! I have a really stubborn eater. But she loved cherrios and puffs at 7 months! What an ADORABLE idea to write letters to your little Alice, wish I had thought of it :( Isn't teething just the pits? I feel so bad for their little mouths and how painful it must be. Just wait until the molars start to pop through-yikes! Looking forward to reading more from you :) Cute blog! 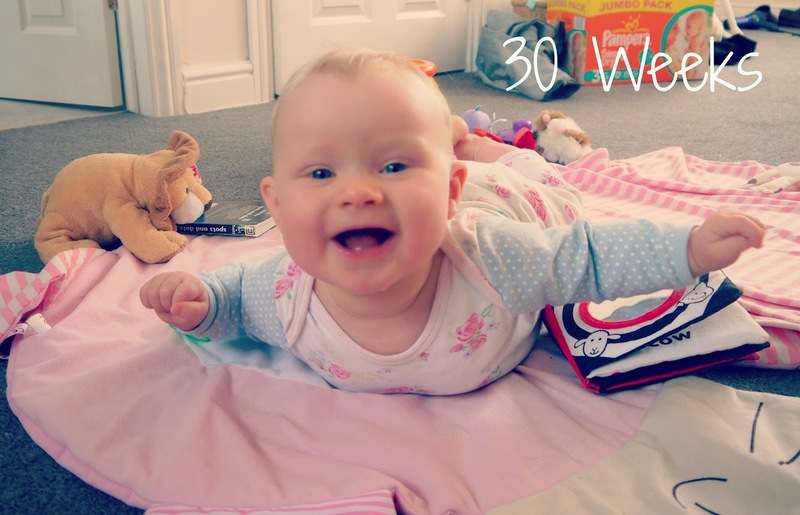 Wow 30 weeks already! She's growing so fast.